On Tuesday we went to Odds Farm. It feels like its been ages since we’ve been there, but its probably only been a couple of weeks. Isla was so brave and fed the sheep and the goats, and kept asking for “more” feed when she’d run out. We had a couple of chilled out days at home after that, which was what we needed really. We did a little bit of Christmas shopping (nearly done now!) then on Saturday we went to a 1st birthday party at a local soft play, which Isla loved! I also managed to spend a couple of hours down the allotment which I always find to be a great way to chill out. On Sunday morning Chris kindly offered to get up with Isla so I could have a lie in, and them in the next breath told me there was loads and loads of snow. How on earth could I go back to sleep after that!? 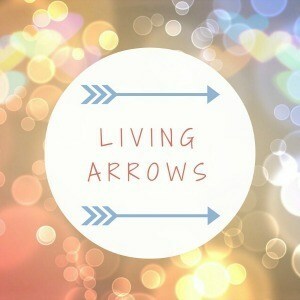 Anyway, that is when this week’s Living Arrows post is from. 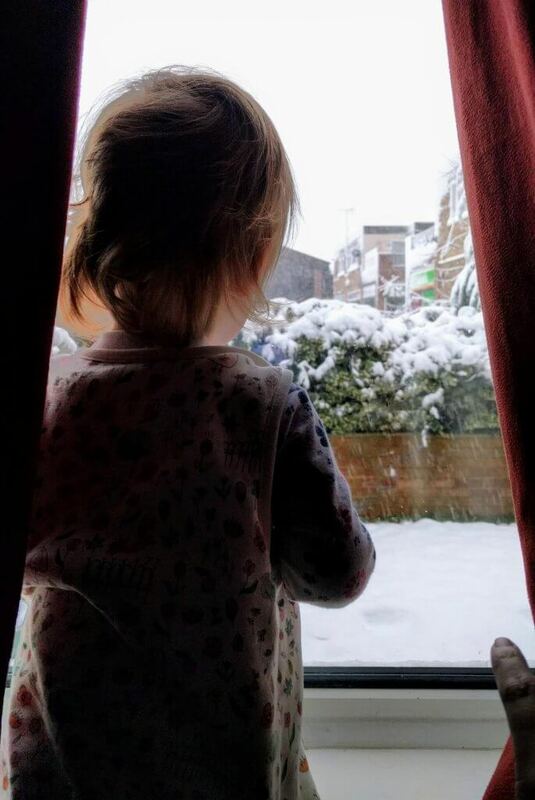 Chris was showing Isla the snow through the living room window. The curtains have just been pulled apart slightly, so as to keep some warmth in, and Isla is stood on the back of the sofa. She was amazed by the snow, and got very excited. However she wasn’t as keen when we tried to get her to walk out in it, but loved going on the swing at the park. I attempted to make a snowman with Isla so that I could tick off one of my 101 in 1001, but she refused to help and looked at me like I was completely insane! Next year maybe! Later in the evening we went out for a bit of fresh air (and so I could play in the snow a bit more) and Isla still wasn’t too sure about the snow… even more so when I got her to make a snow angel. I’m sure she was wondering what on earth I was doing to her. Its a good job her snow suit is so thick and keeps her dry and warm!! We really enjoyed Isla’s first snow day. And it was great that Chris was around for it and not at work (in fact we got snowed in today so he had to work from home!) 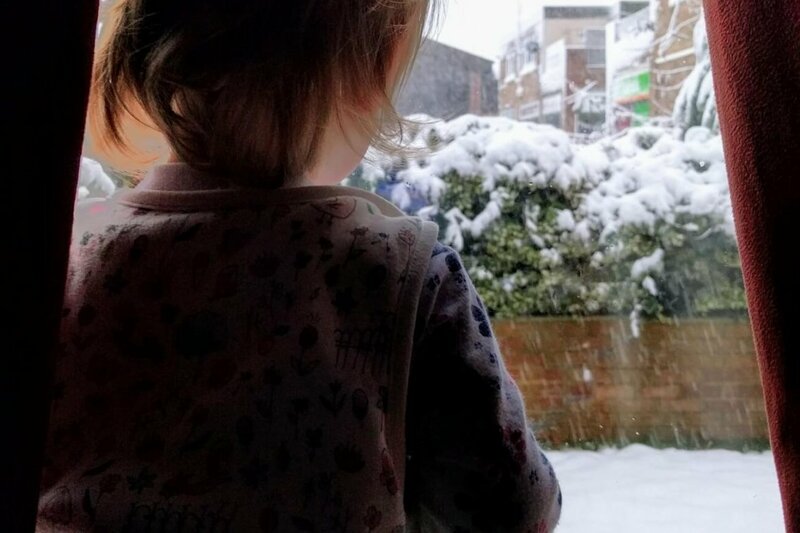 I can’t wait until Isla is old enough to fully appreciate snow, so that we can ratty play together in it. I hope all of you who got some snow enjoyed it. What was your little ones first snow day like?